← Be an atheist for an hour! All I wish to do in this post is collate some comments made by atheist and agnostic philosophers who warn against using logical formulations of the problems of evil due to the pitfalls they encounter, the burden they struggle to meet and the persuasive answers which have been given in reply to them. God is all-powerful and all-knowing. However, this approach has generally been regarded as unsuccessful. The logical compatibility of , , and  is suggested by the following considerations. entails [1′] God could prevent evil unless evil was logically necessary. and  entails [2′] God would prevent evil unless God had a morally sufficient reason to allow it. [1′] and [2′] combined entail [3′] Evil exists only if either God has a morally sufficient reason to allow it or it is logically necessary. [3′] does not conflict with  or . the world contains evil because the presence of evil is so obvious. but  the world does contain evil. So if you are a theist bored of being presented with the logical problem of evil as if that ends the debate over the existence of God perhaps try pointing your atheist interlocutor to some of these atheist / agnostic sources as a way of opening the discussion back up? However, if you look up the context of that quote Mackie is responding to the theodicy that the existence of evil could be explained in order to achieve greater goods (‘second-order goods’) as one might find in Kant or John Hick (both of whom he mentions within a page of this quote). At this point Mackie has not even mentioned the free-will defense or Plantinga. His interaction with that does not begin until p.162. Thus this quote from Mackie had nothing to do with Plantinga’s free will defense as far as I can see. A small point but worth making I think. 1. 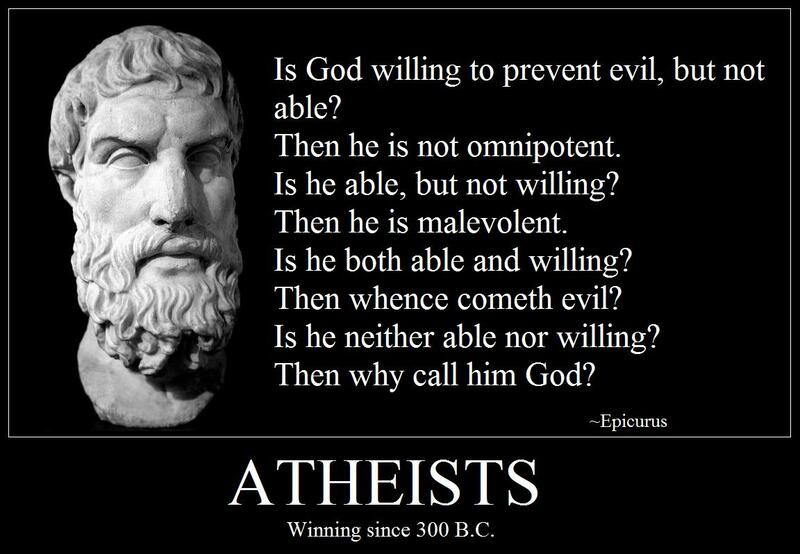 If God exists, then the attributes of God are consistent with the existence of evil. 2. The attributes of God are not consistent with the existence of evil. 3. Therefore, God does not and cannot exist. Stenger quotes from Everitt’s book in the very next chapter so it’s more than curious that he fails to engage with Everitt on this. 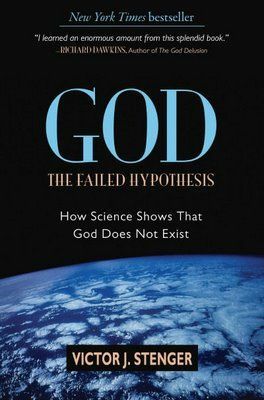 Everitt (who is an authority in the field) suggests the exact opposite in that he thinks it’s hard to find any philosophers defending the logical problem of evil today – even among his fellow atheist philosophers. Stenger has made a declaration about the state of philosophy which he was not careful enough in researching and has therefore got it badly wrong. Stenger’s hypothesis turns out to be the failure. 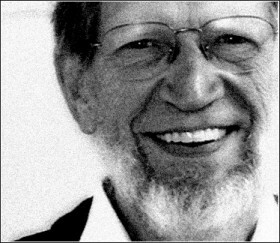 This entry was posted in Arguments for God, Free Will, The logical problem of evil, Theodicy and tagged Alvin Plantinga, Epicurus, Free Will, John Mackie, Michael Martin, Nicholas Everitt, Paul Draper, Theodicy, Victor Stenger. Bookmark the permalink.